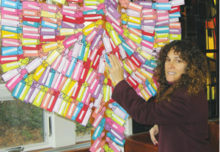 WOODSTOCK – A billboard-size mural of Jerusalem’s Western Wall and handmade metal roses forged from anti-Israeli missiles will be among the sights and sounds marking Israel’s 70th anniversary at a outdoor festival at Woodstock Jewish Congregation, 1682 Glasco Turnpike, Woodstock, from 1 to 5:30 p.m. on Sunday, May 6. The free public event will also feature native Israeli music, dance, storytelling, children’s activities and food. 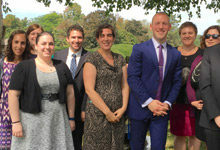 It is sponsored by the Israel Advocacy Committee of the Jewish Federation of Ulster County and supported by every Ulster County synagogue and a synagogue in Catskill. The festival will be held inside Woodstock Jewish Congregation if it rains. The jubilee will also celebrate Israel’s accomplishments in the arts, sciences, agriculture and other fields of achievement. The “startup nation” is widely recognized as a major player in the fields of innovation, research and development, and entrepreneurship. 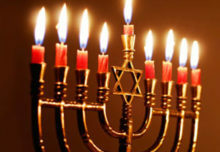 In addition, Israeli artwork, ceremonial Judaica, Israeli jewelry, Israeli gifts and other handicrafts will be sold. “There is much about Israel to celebrate, and this joyous party will showcase Israel like you’ve never seen it before,” said Nathan Borsky, the Ulster Jewish Federation’s vice president for Israeli advocacy and one of the festival’s organizers. 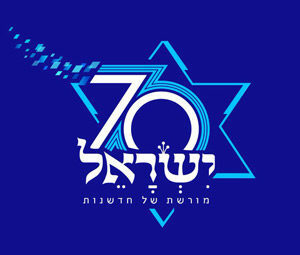 The anniversary celebration will start at 1 p.m. with recognition of the soldiers and civilians who died in Israel’s 1948 establishment and also amid warfare, and in combat and terrorism in the years since. This will be followed by the singing of Israeli music, under the direction of Cantor Bob Cohen of Kingston’s Congregation Emanuel of the Hudson Valley. Also participating in the two-hour songfest will be Rabbi Yael Romer of Congregation Emanuel, Rabbi Zoe Zak of Temple Israel of Catskill, Cantor Devorah Gartner of Kingston’s Congregation Ahavath Israel and singer-songwriter Marka Knight of the Woodstock Jewish Congregation. Dignitaries and other guests are to speak at 3 p.m. The multicultural Caravan Kids dance troupe, under the direction of Livia and Bill Vanaver of the Vanaver Caravan of New Paltz, will demonstrate and perform traditional and modern Israeli folk dances from 3:30 to 5:30 p.m. The kids will also teach and lead festivalgoers in those dances. Throughout the afternoon, children and adults will be able to enjoy storytelling, interactive games and activities, culture, art and food. 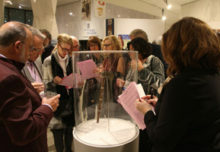 At the festival’s giant facsimile Western Wall mural, attendees will be able to write prayers on slips of paper that will later be flown to Jerusalem and placed into the cracks of the original wall. At the festival, the metal roses forged from artillery rockets fired into Israel were made by Israeli artist and blacksmith Yaron Bob, who lives in the small southern Israeli town of Yated. He makes them as part of a project he started called “Rockets Into Roses.” He says he was inspired by the biblical passage, “They will beat their swords into plowshares” (Isaiah 2:4). Many of the roses he made will be for sale. Congregations participating in the festival are Congregation Agudas Achim, Congregation Ahavath Israel and Congregation Emanuel, all of Kingston; Congregation Ezrath Israel–Chabad of Ellenville; Kerhonkson Synagogue; Jewish Congregation of New Paltz, Chabad of New Paltz, and Kol Hai: Hudson Valley Jewish Renewal of New Paltz; Woodstock Jewish Congregation; and Temple Israel of Catskill. Information about the festival may be obtained from the Ulster Federation at 845-338-8131, or at coord@ucjf.org or visit ucjf.org.